Craniosacral the rapy is a light touch technique that frees restrictions deep in the body. It alleviates pain and dysfunction. By relaxing the tissues around the brain and spinal cord, the central nervous system (CNS) is able to optimize the performance and function of other systems in the body. Craniosacral therapy is a form of bodywork focused primarily on the concept of “primary respiration” and regulating the flow of cerebrospinal fluid. Therapeutic touch is used to manipulate the synarthrodial joints of the cranium. To do this, a practitioner will apply light touches to a patient’s skull, face, spine, and pelvis. Craniosacral therapy can help bring relief from many issues. Most commonly, it is used when addressing headaches and migraines, neck and back pain, TMJ dysfunction, anxiety, depression, learning disabilities, fatigue, insomnia, post-traumatic stress disorder (PTSD), fibromyalgia, digestive issues, and so much more. People often feel more energized, focused, and driven after receiving this treatment. What should you expect from a craniosacral therapy session? During a typical session, in addition to discussing your current symptoms, you may be asked about your history of injuries, medical history, and lifestyle habits. As part of the physical exam, the practitioner may move your limbs and feel your spine, ribcage, and cranium for areas of restricted motion. Treatment includes gentle hands-on manipulation of the cranial bones and the sacrum (tailbone), as well as other connected areas of the body. The practitioner may use additional manipulation techniques if indicated. During treatment, patients are fully clothed; they lie face down or face up. 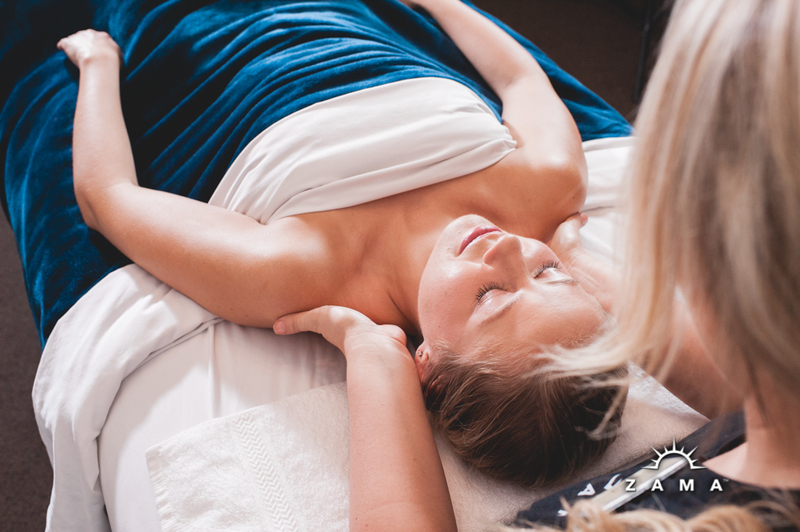 The overall effect of a treatment session can be very calming. Some patients report pleasant tingling sensation throughout their bodies during treatment. Read more on the benefits of Craniosacral therapy here.